Each of our 58 rooms is designed in a different decoration, with ultimate attention to detail, fine elegance and refinement for each guest to relax in his own ?home?. 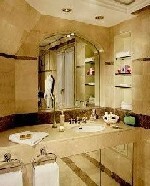 The rooms combine the atmosphere of a Parisian retreat with warmth and comfort of home. All of them are Air conditioned and are equipped with a mini bar, a hair drier, a safety box, a television ( Pay TV & International channels are available ), and free WI FI access. A night at the Royal Hotel will have you returning again and again ? Discover our Restaurant "Le Friedland" where a warm and personalized welcome will be offered around a Buffet Breakfast served in a typical French tradition, from 7am until 10h30 am. Our lounge "La Rotonde" would be the perfect and ideal place to relax or gather around a drink before dinner or a business meeting . Room service is served from 7am until 10h30pm. 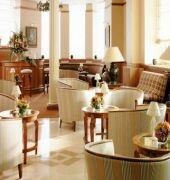 The Royal Hotel Paris is a Tourist hotel. 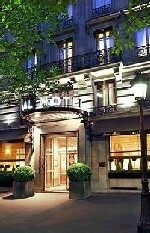 Located in City Centre - Arc De Triomphe area. Shopping is accessible by bus/taxi and the nightlife/restaurants are easily accessible by taxi or bus from the hotel. Descriptionclass="small" style="text-align: justify; font-size:11px;">Each of our 58 rooms is designed in a different decoration, with ultimate attention to detail, fine elegance and refinement for each guest to relax in his own ?home?.